The Biospirals Pa tuan chin is a series of 8 movements created in order to activate the bodies primary Axis whilst softening and lubricating all the joints, as it brings the physical and energetic body to interact in unity through synchronized, harmonic movements. In terms of energy, the Primary Axis performs a crucial role. It is an invisible organ with no precise form or outline: a sort of cylinder that includes parts of the spinal column, meninges and elastic tissues. The connective tissue and the fascia are directly connected to it and continually send information which the primary axis decodes and interprets, redistributing it through the structural, metabolic and psychic systems of the body. This organ has pulsing and vibratory properties, and communicates by means of expansion and contraction to keep all the areas of the body synchronized with each other. 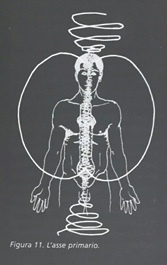 The primary axis is therefore, a sort of orchestra conductor directing the interaction between the various parts of the body, from the extracellular tissue, the cells, the nuclei of the cells, the organs and the surface fascia up to the outer membrane that joins our resonance field with the outside world. PRACTICE: The Primary Axis is activated by rubbing the hands in front of the heart while expressing universal love, joy and appreciation, and creating friction along the axis with a motion similar to lighting a fire by rubbing a twig. After feeling the increased energy circulation in the hands, relax and allow the hands to be pulled apart by the natural repulsion of the opposite forces. Clap the hands together vigorously, unite the palms and begin the sequence taking care to keep the primary axis rotating. During the practice the two lao gong (energy points situated in the palms of the hands) should stay facing each other and act as a pivot. To maintain the position of the hands during rotation the whole body must participate in the movement. Throughout the sequence the movements become progressively more dynamic maintaining the same principles. With practice and patience both the physical body and the energetic body will harmonise. The Pa tuan chin of the Biospirals prepares the physical and energetic body to practice the Biospirals Method, it simulates the cosmos with its stars, planets and galaxies rotating around a central point. As ancient traditions say, the microcosm and the macrocosm interact with each other and are the expression of a single, fundamental movement: Cosmic Breathing. They are of fundamental importance in the context of the practice we are introducing. However, this sequence can be practiced free-standing. The preparatory exercises are organised in a series of actions-movements and have the function of awakening, activating, building, expanding and managing life energy. 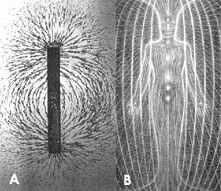 They increase the natural tendency of Chi to expand, thus creating a relationship between organs, structures and systems. The movements prepare the physical and functional energy components for the exercises of the first sequence. Movement 4 – Activating the energetic system.